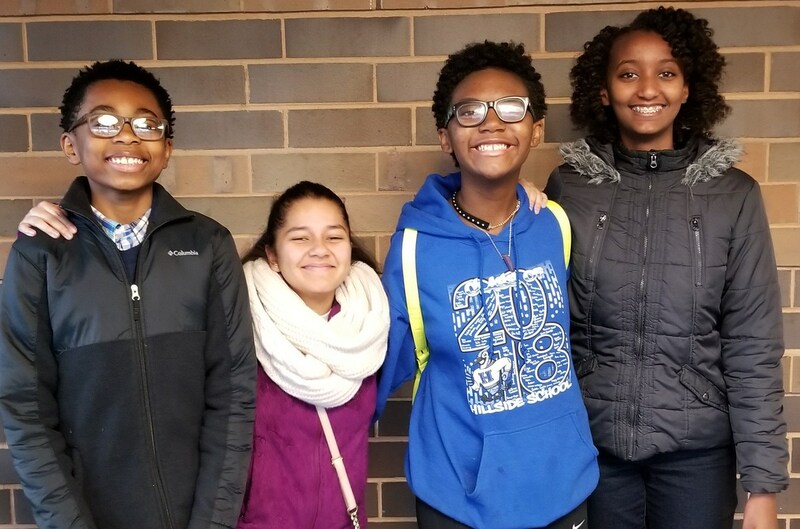 We would like to recognize our four 8th grade students that were selected to participate in CivicAction Weekend on November 3 and 4. The CivicAction participates will kick off the weekend with a visit to a local nonprofit organization that is addressing issues of urban poverty. The students received an orientation and then split into small groups to complete a variety of hands-on service projects at their organization. The student groups will visit homeless shelters and soup kitchens, where they will prepare and serve lunch, socialize and eat alongside clients, and complete sorting and cleaning. Other groups will visit organizations that either provide educational programming to community children where they will assist with activities, lunch, and other maintenance projects or do outreach for a local mobile grocery that provides healthy food to communities without access. In addition, the students participated in a workshop and discussion about youth leadership and civic engagement with a focus on how they can each become more active in their own schools and communities. We are very proud of Christian, Sofia, Edidya , and Makilah and fully expect to see them making a difference in the Hillside community!